'Cause I'm all about those thighs, 'bout those thighs, 'bout those thighs. 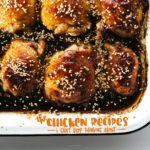 All the chicken thigh recipes you could possibly want! I’m a huge fan of chicken thighs. 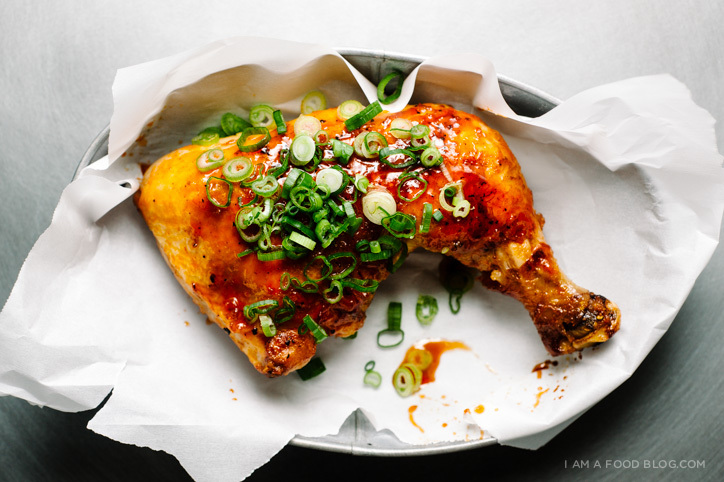 I love how easy they are to cook and how they’re juicy and more flavorful than all other parts of chicken. Except maybe wings, because wings are also the bomb. But, if I had to choose, I’d definitely choose thighs over everything else. It’s always my go-to piece when there’s a bucket of fried chicken, so it’s no surprise that it’s the cut of chicken I choose to cook the most. 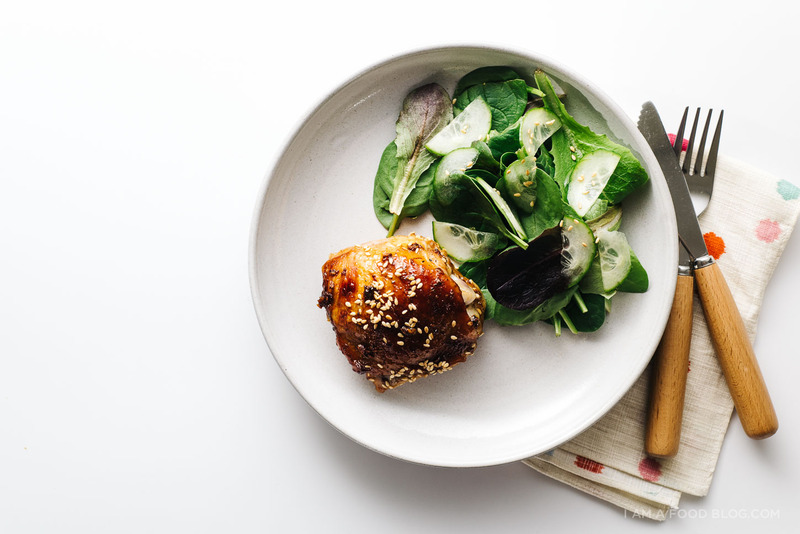 Here are 8 chicken thigh recipes for some chicken thigh love! 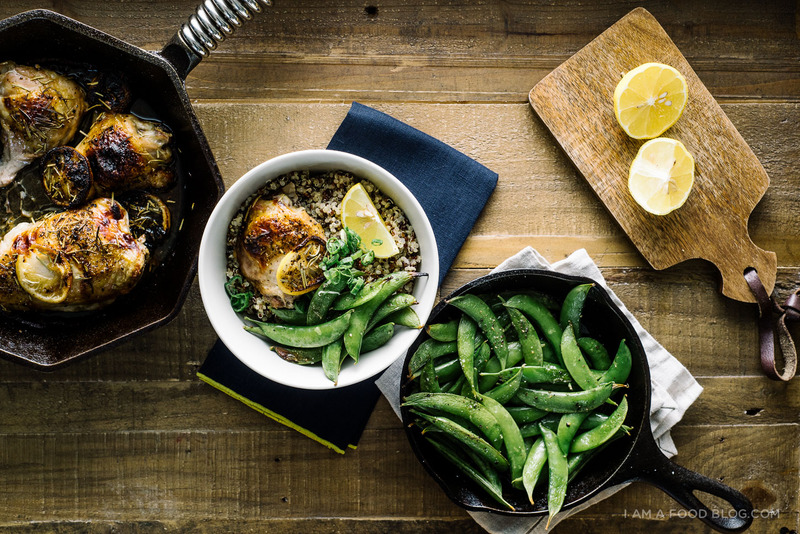 If you’re looking for an easy, hands-off umami filled chicken recipe, this is it! 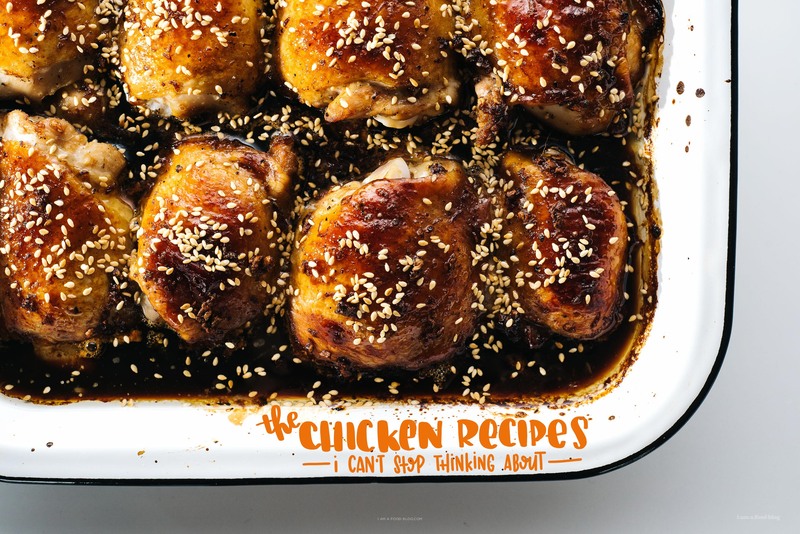 Sesame, dark soy sauce, ginger, garlic and all the good stuff. 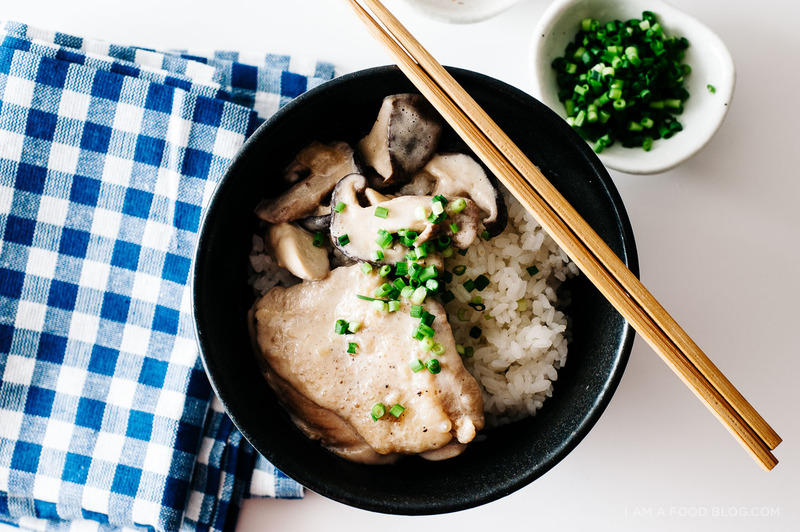 Chicken thighs braised in coconut milk and miso, along with mushrooms and onions. Saucy, savory, and perfect with rice! 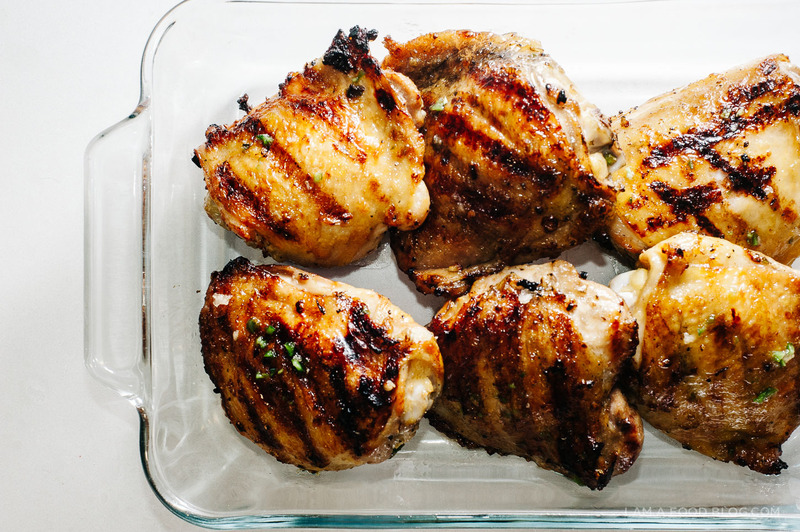 A quick marinade of honey, garlic, and jalapeño, and these thighs are ready for grilling. Summertime flavors all the way! 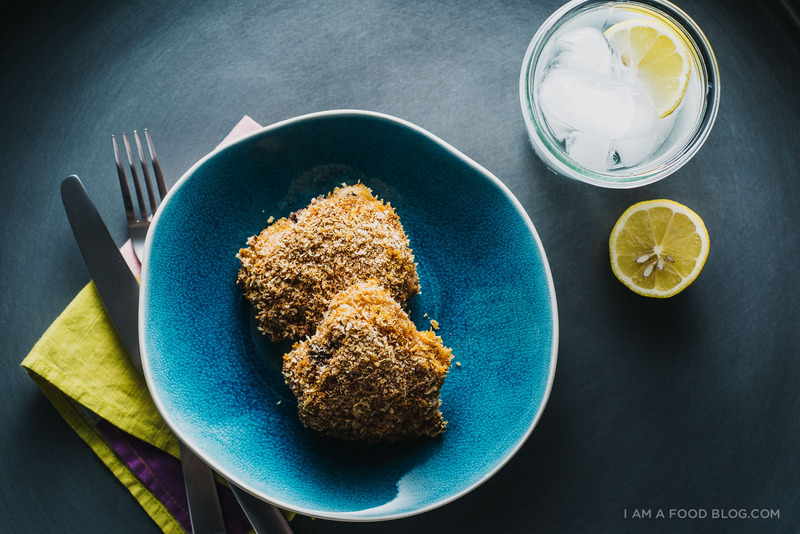 If you love crispy chicken, but don’t love deep-frying, these juicy, oven-baked crispy panko thighs are the answer. 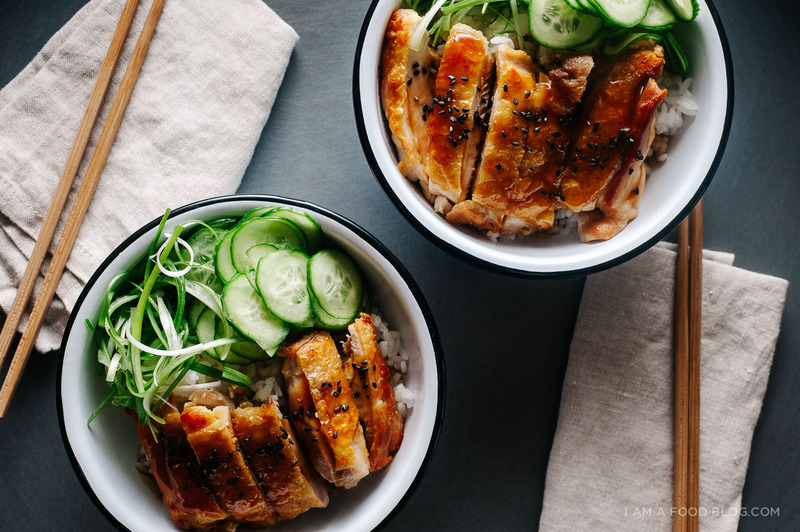 You’re six ingredients away from some homemade teriyaki chicken – way better than takeout, I swear! Sweet, spicy, and a hint of lime. I could pretty much drink this glaze and be happy, but when you brush it on to chicken, it becomes pure magic. These thighs get a quick pan-sear before getting saucy in two kinds of mustard (whole grain and dijon), honey, garlic, and shallots. They’re slightly sweet, mustardy and super juicy. 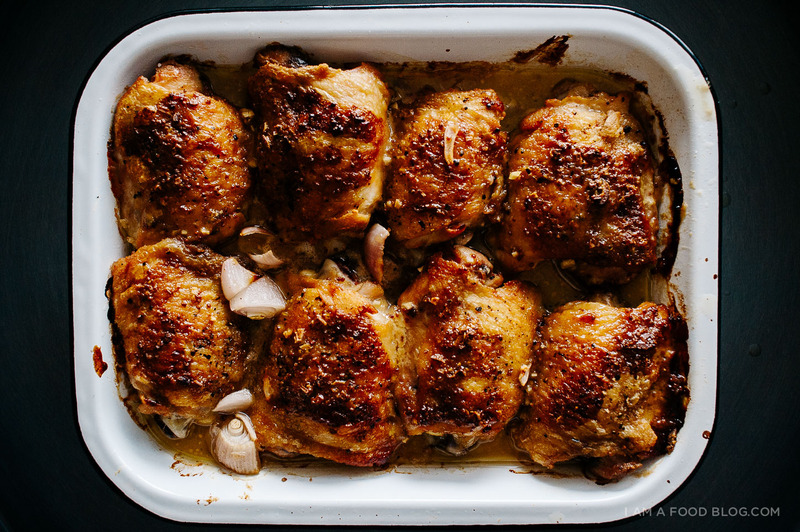 Oven-roasted chicken thighs with rosemary and lemon: juicy with a classic rosemary lemon flavor profile. YUM! Can’t wait to try some of these recipes out. Great photo too!